A new federal assessment of rangelands in the West finds a disturbingly large portion fails to meet range health standards principally due to commercial livestock operations. In the last decade as more land has been assessed, estimates of damaged lands have doubled in the 13-state Western area where the U.S. Bureau of Land Management (BLM) conducts major livestock leasing. This is to say nothing about the actual condition of public lands, which some public oversight organizations maintain to be in much worse condition than is reported due to overwhelming pressure on agency employees to overlook grazing impacts or attribute them to something else. Efforts to demand improved condition for imperiled species, like sage grouse, are met with state and local attempts to influence federal policy by recommending management that ignores the impacts of livestock grazing and BLM’s own politicized attempts to forestall any meaningful management changes to livestock grazing for decades. Meanwhile, Livestock interests in Washington DC continue to push for less environmental analysis, less public involvement in grazing decisions, and to double the length of grazing permits with the Grazing Improvement Entrenchment Act. 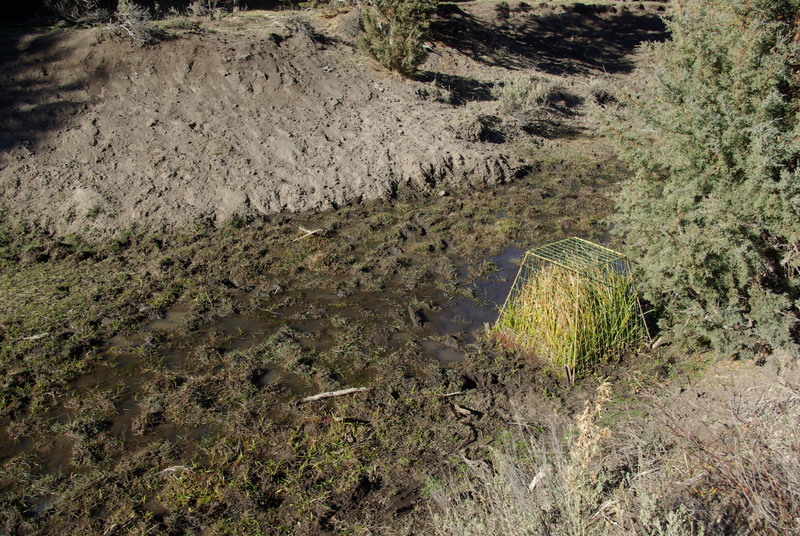 Keep in mind that the methods that BLM uses to evaluate rangeland health are manipulated to minimize the impacts that livestock grazing has on the landscape and wildlife. The Ecological Site Inventory (ESI) method of rangeland health evaluations uses information gathered from already impaired landscapes for its baseline which minimizes the apparent impact of livestock grazing. The percentage of impaired “rangeland” is likely much higher because rangeland health assessments have not been conducted on vast acreages of BLM lands, approximately 45 million acres. This is what many of us already knew, good to see it actually come out in a report. I don’t expect to see Forest Service alottment lands doing any better. And I thought grazing was actually good for range (not!). One other practice that the BLM commonly employs is returning grazing to landscapes that have burned after just 2 growing seasons. This never gives the landscape a chance to recover from fires because the ranchers demand to graze as soon as they can. When areas are closed to grazing after a fire the BLM never reduces the actual grazing occurring on the allotment unless the entire allotment burned. In other words, they say that grazing cannot occur within the burned area but the actual number of livestock grazing isn’t reduced, thereby increasing the impacts on the areas that didn’t burn. Thanks for making the case, that Federal BLM & US Forest Service managed lands SHOULD be turned over to local County and State control! I would like to see a study done that compares privately owned range lands with BLM & US Forest Service managed range lands, to see who manages the land BEST! You fail to understand that BLM lands are simply not capable of supporting livestock grazing and the obvious fact that they are far less productive than most private lands which, in the west, tend to be lands with more water. I have seen private lands that are just blasted by livestock grazing. The Big Lost River Valley comes to mind. That place is a disgrace. Au contraire: State land graze leases in Wyoming, at least in my own observational experience, are in worse shape than the federal lands in most cases. State lands are mandated by the Wyoming constitution to be managed for maximum benefit of the state’s schools, to make money and be sustainable you would conclude. But instead they are leased to institutional ranches as defacto private lands , for mere pennies on the fair market dollar, and the allotments suffer from neglect. There is no real incentive for the defacto owners to improve the state land. But when you point all this out to the cattle barons, they get very hostile about it. They have come to treat state lands like indentured stepchildren. Private pasture is another thing altogether. Your assertion that states and even counties can manage public graze better than the Feds simply is not universally ideologically true, Dave. That’s a myth. IMO. This is all fine and dandy but where is the enforcement arm of the government outside the BLM stepping in? When will it end, this evidence has been pointed out for more than a decade. Also not to forget the the thousands of animals killed by the “Wildlife Service” considered predators to both cattle and sheep costing taxpayers over a million dollars……. …the fees that farmers and ranchers pay for “grazing allotments” do not even come close to the administration costs incurred by the BLM and the National Forest Service. These allotments are essentially a form of welfare. Couple this with the amounts of welfare provided under the Farm Bill and you get a significant number of our farmers and ranchers on the public dole. They are not the last/best defenders of the public land. The truth is quite the opposite. Take a look at any stream bed where cattle have been allowed to roam. I live in Wyoming near Cheyenne and frequently hike in the mountains between here and Laramie. Cattle have done serious damage to all of the public streams and, of course, the land itself. The BLM and the National Forest Service do nothing; in fact, they are complicit in the destruction. The RANGE will always be there. There are going to be times when the EARTH has more rain, drought, etc. The earth changes. Anyone with a half of brain would know the animals wild animals protect it. They graze down what is needed to be grazed and leave what is needed to hold the soil alone. I studied horses for over 40 years and worked with rehabilitating wildlife, also took landscape courses. You need gazing to allow new grass to grow horses move on when it is getting to low they move on. The Range has been there before half of you were born and will continue after your gone. Why isn’t the BLM out here in the East controlling all the building on open land, all the farming being done and all the horses we have grazing??? Why is the BLM just out west??????? You have thousands of wild horses in pens…in the middle of the desert no protection from the sun, wind, cold, heat. Your rounding up meat for a business that is dangerous. Tinted meat will some day kill many people. Your also risking other peoples domestic horses in the area. BLM rounds up horses ships them from place to place without coggins test. If one of these horses has ID it will destroy a herd in a week. If you live near a wild horse holding pen with your domestic horse you are putting your horse in danger. BLM does not realize the problems this causes. Not to mention how many they have killed. They use to run them off cliffs. I just want to know why the BLM is not out here managing the open land out here…????????????????? Because the BLM only manages BLM lands. I don’t know where “out here” is but the BLM can’t manage someone’s private land or land that isn’t BLM land. There has always been a substantial difference in the way a lease is treated by a grazer versus how a range owner manages the grazing. Its just like renters versus owners of houses…you know who is most likely to trash the place. Leasees are trying to maximize ecomonic benefit from the lease term…owner/users generally have a longer term more ecofriendly prespective. I believe one major issue is that many BLM lands require some grazing for sound ecological reasons (burrowing owls for instance), just not at the level which makes economic sense for a rancher to cover the overhead of using the land. This leaves a no grazing-too much grazing Hobson’s choice which needs to be systemically changed to allow for the middle option. In the PBS Bison special a few weeks ago, a cattle rancher had the gall to claim that cattle grazing improved the rangeland because cattle are managed and bison are wild. They are assuming that everything needs management,and,secondly,that if it does need management,that they are in fact presently engaged in doing it. I think neither are generally true. I noted particularly the comments about damages from grazing being attributed “to other sources”. One of these is the wild mustangs. Biologist Craig Downer of the IUCN has just published a book with fascinating speculations on the damage to the range *causes* by the removal of wild horses, which monuting evidence show to be true native species to this continent. Amount noteworthy facts to which Mr Downer’s book call attention that the wild horses and range evolved together and there removal from the keystone niche they occupy is causing increasing impacts…such as their suppression of the invasive cheat grass and its relation to fire danger. The fact that horses’ grazing patterns as opposed to cattle is eco-friendly rather than destructive is also ignored: wild horse bands range, on average, over 20 miles per day searching forage and water. They don’t lounge around water sources wallowing and fouling them, and inherent differences in the digestive systems of horses vs rumanents produces manures that build the soils in ways other do not. Recent research shows the natural predators of horses upon wild horse bands has been greatly underestimated, and currently cattle outnumber horses on the range in the area of approximately 50:1. It’s time for all advocates interested in range health to begin talking with each other and building mutual support and dialogue to combine our power to fight the enemies of our rangelands! i wish you folks at thewildlifenews would add a share button so i can share your excellent articles on my FB and other places. I have sent you emails and recieved no replies, and made other efforts to publicize your excellent exposes and research to where it can do more good in my efforts to advocate for the mustangs, who have been shown by compelling new evidence to be the repository for the remnant of the orignal North American equids and who are essential to the health of western ranges. I’m afraid that much of your excellent writing comes down to preaching to the choir, and i find the ‘range wars’ over ownership of advocacy concerning these issues to be as inimical to the health of our western ranges as the fences that are crisscrossing it. In clarification of my previous post, while i note that your site itself has a share button i have not found a way to share links to individual articles. People do not pay attention to generalites and are a lot more likely to open and read an article with a specifac title than they are to open a general banner that lacks a hook.